Startups and established brands from around the world converged on Halls 5.1, 6.1, 8.1, and 10.1 to offer their own solutions to "The Hotel Data Problem." The great part about our time at ITB: each company offers their own solution to, and their philosophies on, hospitality data, data visualization, and analytics. We took time to walk around all the hotel tech halls (a lot of walking!) and speak with as many hotel data-related companies and startups as we could. While we couldn't squeeze in a converstaion with every single company, we tried to chat with as many as possible. Below is an overview of some of the hotel data-related companies at ITB, their philosophies on hotel data, and what they have to offer. 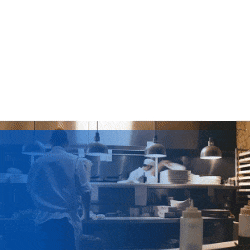 What we liked: Their focus on the importance of data in the hospitality industry. This gigantic company, which provides many services for hotels, was out in full force at ITB. Their seniority in the industry, massive quantities of data, and understanding of the importance of understanding that data (see any of their great trend reports for proof) means Sabre has their eyes on the long game and sees a focus on data as a big part of that objective. Infor makes what many consider to be a great revenue management system, EZRMS, and are well known for their in-depth revenue management data analysis. And EZRMS certainly offers solid reporting with very wide data ranges and powerful data visualization. Infor is one of the big players in the industry with a strong RM solution. IDeaS is another widely popular revenue management system, and probably the market leaders when it comes to predictive analytics, so it makes sense their stand was as popular as it was. We're fans of their Forecast Management System when it comes to forecasting (also known as predictive analytics). This large Spanish wholesaler is known for their distribution network of hotel beds (hence the name) but what really got our attention at ITB is that HotelBeds now offers three different open APIs. This is a very cool move from a company of this size. At SnapShot we really believe in open APIs, so we're glad to see more companies hopping onboard a promising evolution in modern tech. While mainly a marketing and booking service, Busy Rooms offers an ancillary analytics option for its users. They come from a background of great experience in marketing independent hotels and midsized groups so their hotel analytics pricing tools sound promising. And based on the brief demo their rep gave us, we are looking forward to seeing more. This reviews aggregator (TripAdvisor, Booking, website reviews, etc) is a popular tool for hotels online. They've smartly developed two separate Analytics tools to help customers better understand their review data. However they’re not alone in the space - big players like TrustYou and Olery are also coming up with great tools to analytics unstructured data, so it will be interesting to compare offeings. We're excited to see what else ReviewPro will offer customers along the lines of analytics in the future. What we liked: Focus on "data as the future"
This huge company offers a lot to hoteliers- a booking engine, advertising, GDS, RMS, even website design. We're glad to see them focusing more and more on the power of data. As TravelClick's rep told us, "The Power is in data," and the actionability of that data will drive the future of the industry. Sleek looking rate shopper that pulls in local and regional event data to help you predict occupancy, ETC. Was very cool to see companies like HQPlus beginning to incorporate real-time data in this way. We're seeing the beginning of the integration of "fast data" into hospitality in cool products like this. First off, a shoutout to eRevMax for their cafe-style stand at ITB. We also like their (relatively) new analytics tool built into their Live OS product. A combination of nice design and a good userbase makes this a solid booking and revenue-based analytics tool. 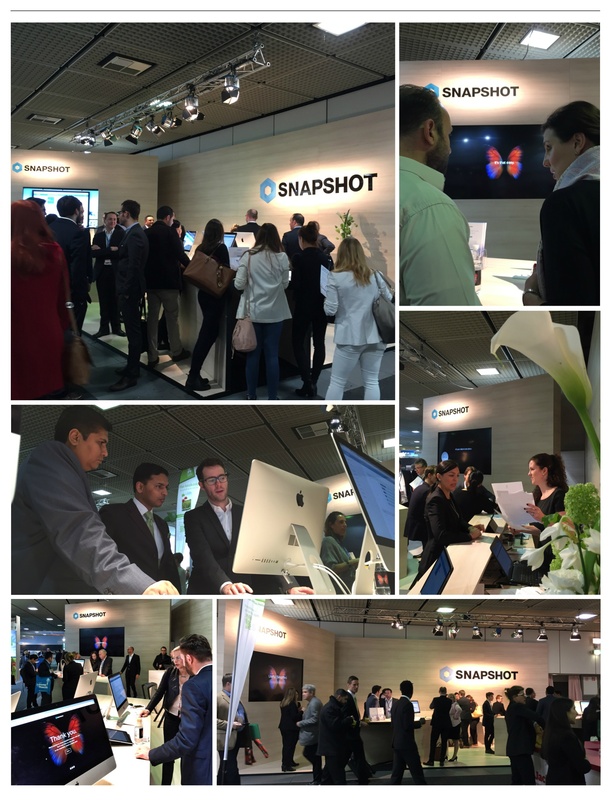 We weren't able to find time to set up a meeting, but we were impressed with what we saw at the stand. This Florida-based company provides what they call "data intelligence" to hotels and resorts, helping them build detailed customer profiles out of various data sources, like PMS and POS records, social media profiles, and others. They then process the data and provide business intelligence and suggestions to hotels based on this data. Their rep told us that hoteliers are really surprised when they realize they already have access to so much information. 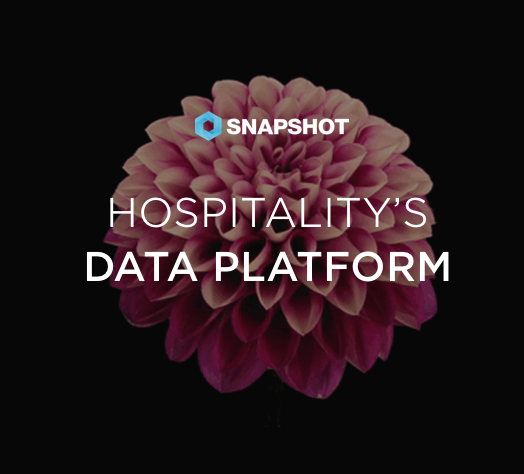 It's certainly exciting for us at SnapShot to see hoteliers begin to understand the magintude of the data available to them. We're happy to see more companies attempting to solve the problem of big data for hotels. LodgIQ RM is a new Revenue Management tool that's employing machine learning to provide prescriptive analytics to hotels. It will definitely be interesting to see what LodgIQ offers as they continue to develop their product. While this Italian firm focuses mostly on hotel marketing, they've created a interesting analytics tool to understand various marketing initiatives. This analytics tool for hotels follows the Buyer's Journey in order to showcase their offerings. Cool concept! Of course, SnapShot was also at ITB. We talk enough about our vision and philosophy elsewhere, but suffice it to say, we think a lot about how hotel can better access their data and make use of that data. SnapShot Analytics aims to solve both of those problems in an easy-to-use yet powerful way. We think that having access to the right data and analyzing it in the right way is key to strong hotel management in 2016. ITB Berlin 2016 was great. We were impressed by the number of companies working on the issue of hotel data management, analytics, and utilization in our industry. There certainly is a lot happening in the hotel tech space right now. We can't wait to see what next year's ITB holds! take a look around our blog!